If you have looked at the index map you will gather that these are not the busiest maps! Coastal maps can always end up with a lot of sea, and that is the case here. 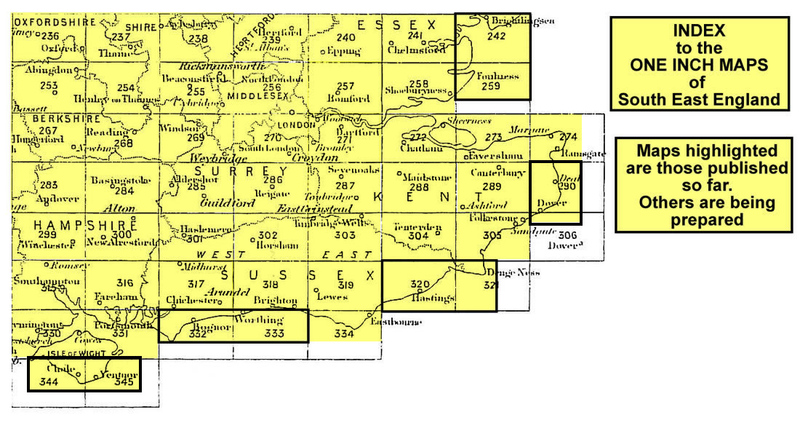 However we hope we have given you good value by including two maps, 332 and 333, side by side to give maximum coverage. Sheet 332 covers the area from Earnley and Birdham eastward to East Ferring, and from Appledram southward to Selsey Bill. The latter is perhaps the most interesting area for it shows the Chichester & Selsey Tramway. The map also includes Bognor and Littlehampton. Sheet 333 is less interesting and includes just two small coastal areas, one with Worthing and the other with Rottingdean. On the back we include a third map, a large extract from Sussex Sheet 73.12, showing Pagham in 1933, including much of the Pagham Beach Estate.